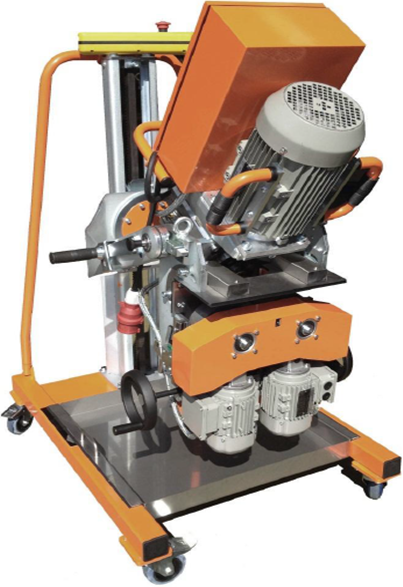 The bevelling machine, model UZ50, has small dimensions. One of its main characteristics is the adjustable bevel angle and automatic material feed. The machine is equipped with a milling cutter, sturdy work-piece holder, direct reading scale used for setting of values (bevel size, material thickness and machining angle adjustment), and a special guide which facilitates inserting of the material. These characteristics enable easy adjustment of the working angle without exchange of any part and precise control of the bevel size. Bevel angle α: 15-60° infinitely variable Active Smart Protection for your Triumph against overloading.